Hobby’s festival, held this year too! Saturday , Sunday 17th ( Sat ) 9: 00-17: 00, Sunday 18th ( Sunday ) 9: 00-16: 00　※ Opening may be delayed depending on the situation. 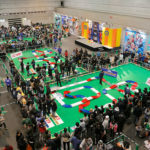 Tamiya fair was established as a hobby event in autumn of Shizuoka. Last year we had over 24,000 visitors. 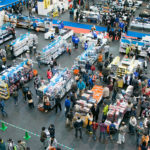 This year, which is the 20th time, we will also exhibit noteworthy new products, various events that you can participate in by participating in the customer, you can also sell limited items that can only be purchased at the venue, and spot sale of bargains etc. Expand. 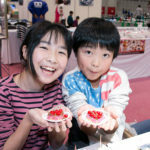 Tamiya’s hobby festival is held again this year! 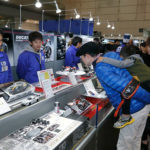 ⇒ The report of Tamiya Fair 2017 last year is here. 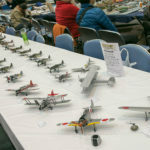 Plastic model production This year also held joint work exhibition centering on clubs active in Shizuoka prefecture, Japan. 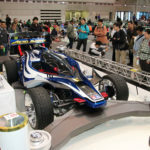 As well as scale models of airplanes, tanks and cars, as well as hundreds of mini 4WD and RC car bodies etc. are gathered. 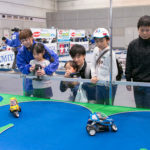 In addition to 15 domestic competitions in Japan, representatives who have won the preliminary contests in nine countries and regions in Asia, the United States and Canada, each area gathered, and the world’s best match of the Tamiya Electric RC car will be held. We develop a super close match that competes for 0.01 seconds. Even just watching the race development full of speed, it is powerful to hold sweat in hands. I can not stop sending cheers. A big race at a large special circuit is a must-see! The puppet reconstruction contest is a model contest using a soldier doll of about 1/5 “tall height of” 1/35 Military Miniature Series “. From a simple remodeling just changing the pose or combining accessories, a technique work that transforms it into a completely different character or character, even a fight idea work with the fun of ideas, anyway the soldier dolls are based on Even a bad work OK! The recruitment received this time is exhibited in the venue. You can actually see stunning works that I do not think is 1/35 size. 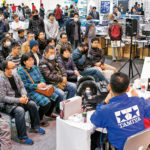 Popular female modelers holding model lectures etc all over the country, such as air brush painting courses by Ogosi Tomoe and talk shows related to product development etc. At the North Building stage there are plenty of attractive events. Please have a look. Radio control tanks such as Tiger I, Sherman, KV – 1, etc, which attract the ultimate realism that reproduces sound and light, as well as actions unique to tanks, are active. Match battle of tension which is carried out one to one and competition against the team where combination is key of victory are done. All the tank fans, please come. 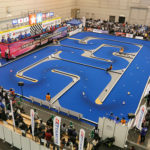 “Mini 4WD Station Champion Decision Battle 2018” “Mini 4WD World Challenge 2018” is held !! More than 500 shops nationwide, held the “No. 1 Lane Course” Mini 4WD Stationary Champion 2018 “by the racer elected by the” Mini 4WD Station Challenge “held over 1000 meetings ). 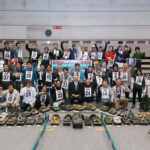 “Mini 4WD World Challenge 2018” held by overseas representative racers gathered from all over the world and about 100 top racers in the country held! Do not miss it! * Participation in the race will be only for players who have won participation rights. machine, painting contest “Competition Deregans”. 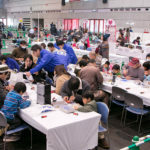 At the Tamiya Fair venue, the Japan Cup 2018 exhibition of the NEW ERA award-winning works of each competition is displayed. ※ “Minna 4/4 Gallery of Everyone” is not available due to space reasons. and free practice course installation are under adjustment. 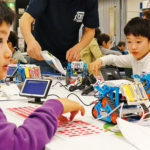 The importance of STEM education for children in all over the world increases, and experience “programming” which is attracting attention now because it will be compulsory in elementary school from 2020! It is a classroom for beginners for programming with children’s computer IchigoJam. All necessary equipment is prepared here. You can actually move the robot just by entering the program with the keyboard under the teacher’s lecture. After the classroom, we will give you a cam program robot working set that you can enjoy analog programming without computer. ◎ Target: over 3rd grade elementary school students. Those under junior high school students should attend with parents. 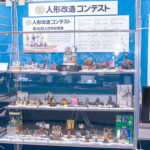 A familiar Self Defense Force public relations section also appears at the Tamiya Fair venue at Shizuoka Hobby Show and others! 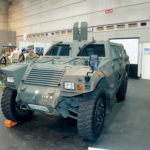 I plan to exhibit a Ground Self Defense Force vehicle with few opportunities to see usually. For children there is a uniform shooting corner at uniform uniforms. 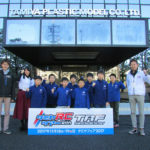 Tamiya’s latest RC car experiencing running meeting will be held. It is characterized by a comical body, it is also perfect for wheelie driving. Since operation is easy, women and children are also welcome. Please experience it. 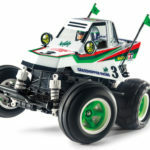 It is a new sense of three wheel RC car that cornering by tilting the car body. “Dancing rider” featuring affordable speed and cute body. Since operation is easy, women and children are also welcome. Please experience it. Let’s enjoy with parents and children. The latest RC Baguiga’s assembly class !! ⇒ For more details please click here. 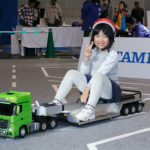 This entry was posted in Event Report, Future Releases, Tamiya Company on October 23, 2018 by admin. 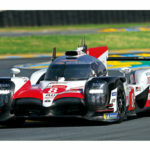 Please I am Italian, how do I get the participation rights for the World Challenge? Is it too late to participate nov 18? you mean the Tamiya R/C World Championship 2018? You have to qualify for it, can’t just participate like that. I understand, how do I qualify for it? I mean which event in Italy can give access to the world challenge?